Assabet River National Wildlife Refuge Fuels 1st graders natural curiosity about the outdoors! 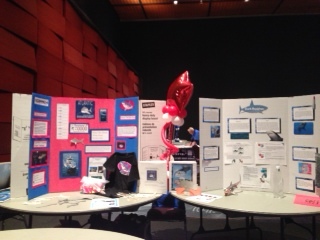 Rocky is a Hit at This Year’s National Science Teacher’s Conference in Boston! Rocky and QR codes are a hit! 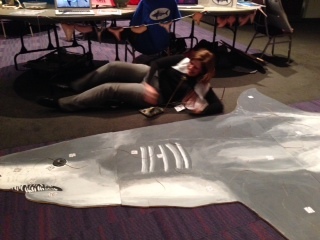 Teacher’s from around the country had fun with “Rocky” during Friday’s “Elementary Extravaganza” session that took place during this year’s national NSTA conference in Boston. Approximately 900 teachers circulated the grand ballroom in the Boston Convention and Exhibit Center. The two hour Elementary Extravaganza showcased over 100 presenters and was one of thousands of events that took place over the 4 day conference. 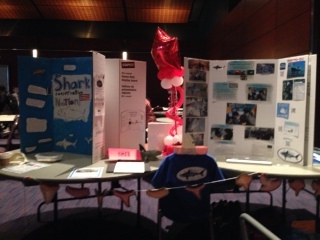 Teachers were very impressed with the work and displays the students had done – nice job Mrs. Hoyt’s 5th graders! 5th Grade Floating Classroom Off to a Great Start! CPS’s 2013 turtle hatchlings are all females! 2014 Begins With a Wintery Cold Blast!